When was the last time, you got an adrenaline rush when an army person doing a war cry on screen? When was the last time you cheered for the army attacking a terrorist base? When was the last time, you not just clapped but tempted to stand up and scream JAI HIND! Uri is that film. A film after almost two decades (ref:JP Dutta’s Border) arrives which makes you feel like emotional, empathetic, courageous, angry, sentimental and chest-thumping patriotism at the same time. Aditya Dhar, a debutant directs this film based on the sensational surgical strike of 2016. The film’s protagonist is Vihaan, a hero in attacking terrorist camp on the Indo-Mayanmar border in 2015. Vihaan’s mother degrading health makes him to request for a premature retirement. However, PMO insists him to remain in the defence and posts him to Delhi office. Vihaan’s BIL Karan is also an army officer, brave and adorable like our protagonist. Played by Mohit Raina (the famous TV Lord Shiva), Karan appears briefly but in a powerful role. He’s at the border when the Uri attack happens by the PAK terrorists. He combats them, but his life comes to an end too. The National Security advisor (played by Paresh Rawal) proposes for a surgical strike in POK. Vihaan comes back to the border and leads the mission. The rest of the film is about the planning execution and the victory emerging. The best part of the film is it is a freshly thought screenplay. You will not even find a single cliché in the film. It’s very easy to get carried away to write very dramatic patriotic lines and punchline for the characters in such a film. Nothing of that sort happens in Uri. It is bang on and yet strikes the right chords. The first half creates the build up at the right pace for the surgical strike that’s gonna take place at the end. The characters have been very well-designed. There are no unnecessary slo-mo shots nor any over raw unnecessary detailing. Especially, the protagonist is extremely real. He doesn’t exhibit any unwarranted heroism. Same is the case with the supporting army men and the family. Everyone is spot on. The only place the film slightly falters in the second half but it is insignificant compared to the rest of the film. The movie gives you an adrenaline rush at equal intervals. The cinematography is very neat, and the editing has been done near to perfection. 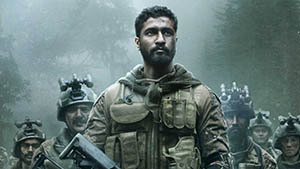 Vicky Kaushal cracks the role like none other. Paresh Rawal also makes an effective presence. Rajit Kapur as Modi is elegant. It is very easy to end up being comical when you do a role of a very powerful person. Rajit just nailed it. Yami and Kriti Kulhari were apt too. The actress who donned the role of Vihaan’s mother suffering from Alzheimer’s was natural. All in all, Uri is a film that India should be proud of! 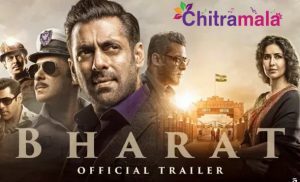 A deserving chest thumping patriotic film indeed!